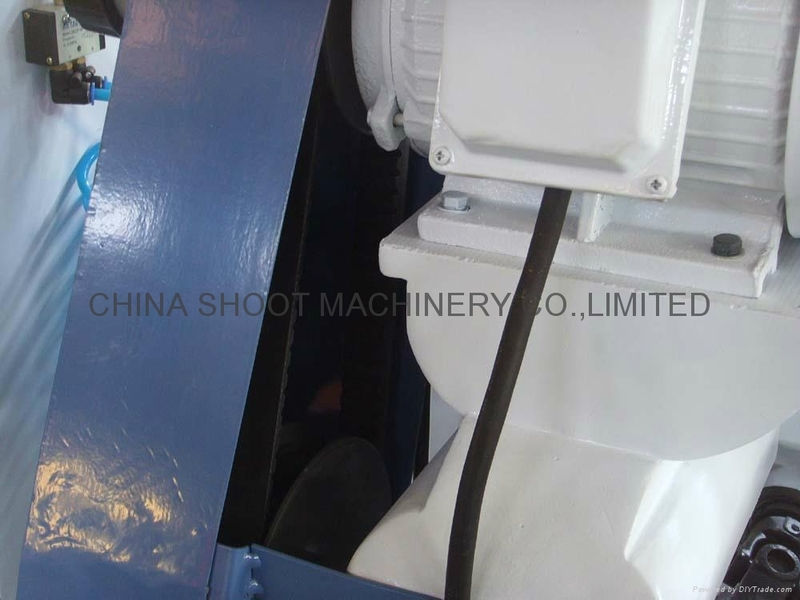 The body is with heavy-duty steel and with special heat treatment process, better stability. 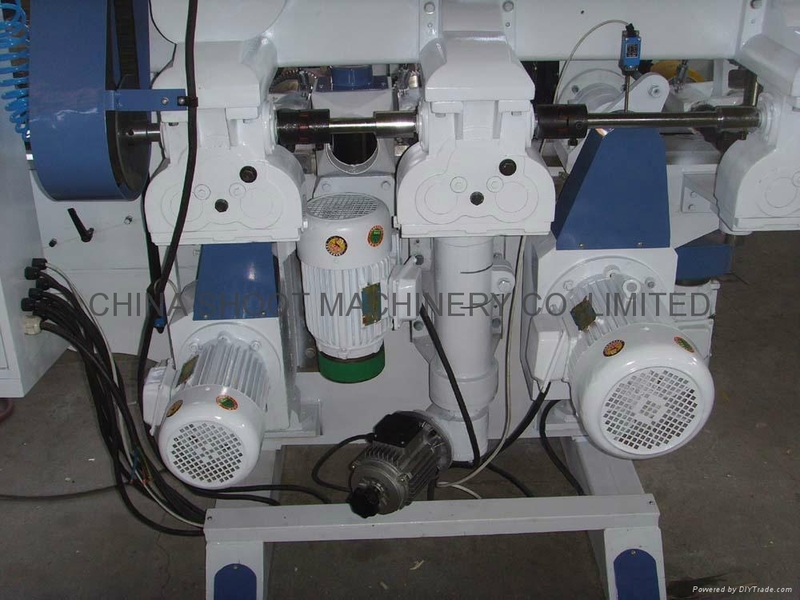 Stable high speed feeding system, 20 m / min. 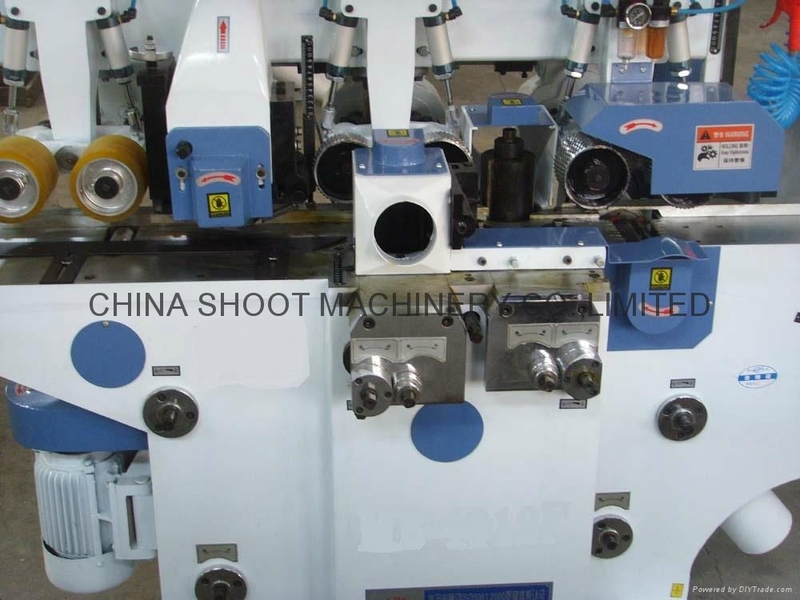 and with speed adjustment 5-20m, greaty improves the production efficiency. All the spindle are with seperater motors, makes the cutting strong. 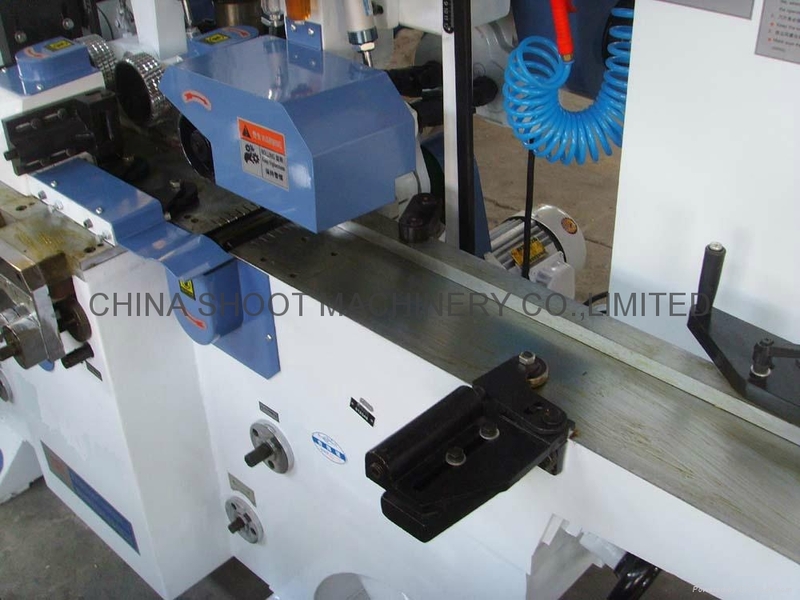 The work table is with special treatment process, better durability and no deformation. Feeding wheel, using cylinder compression type, can be individually adjusted to its pressure, which makes feeding more smoothly. 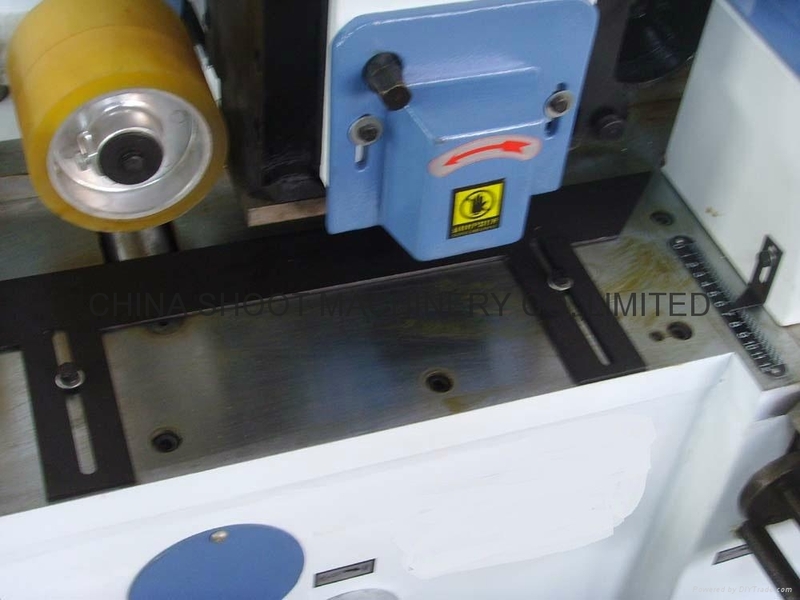 High speed spindle equipped with SKF high-speed bearings, more smooth cutting. 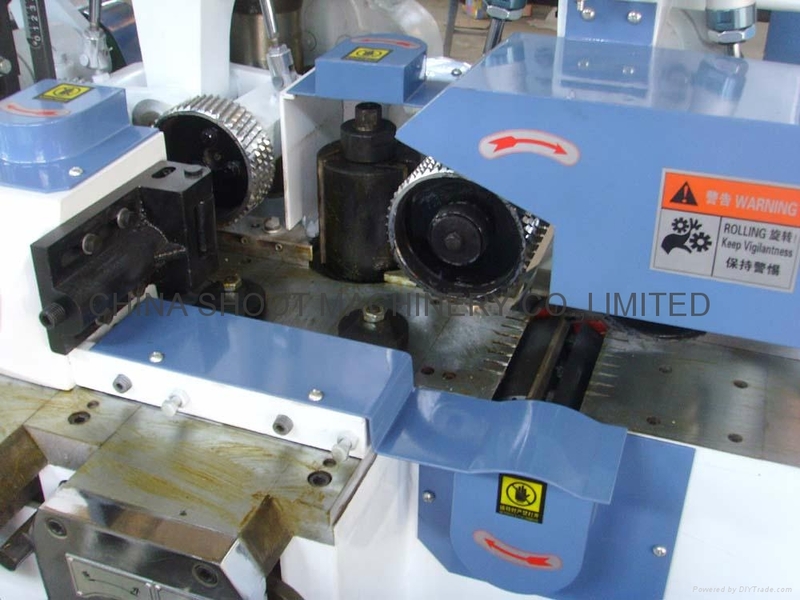 Spindle adjustment is concentrated in the front of the machine, more humane strcture. 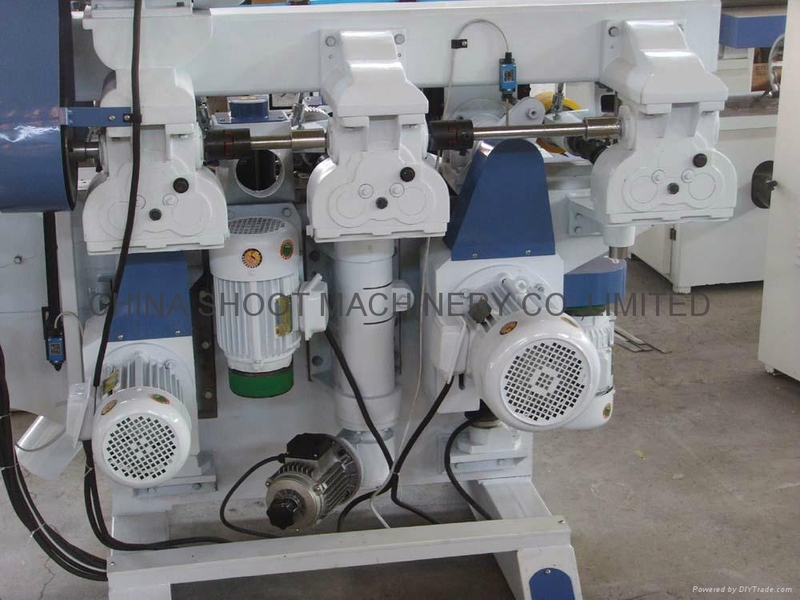 The work table is with active feeders, feeding more smoothly. All the parts are made with fine processing of high-precision CNC Center, and this ensures stable and efficient operation.